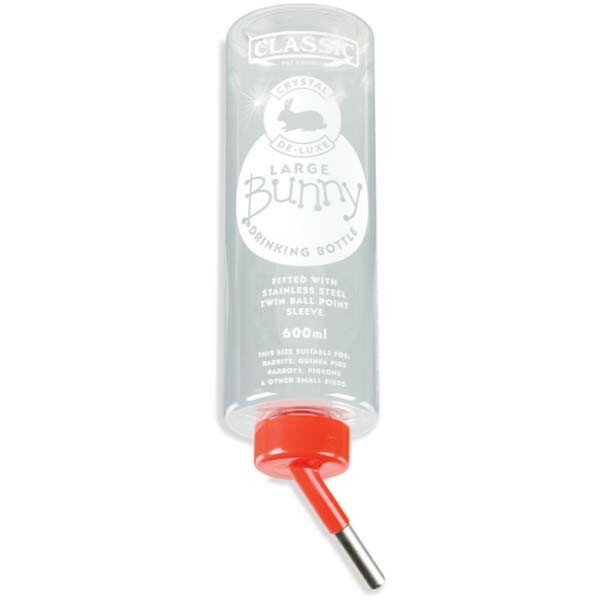 Classic De-Luxe Rabbit & Guinea Pig Drinking Bottles are made from high quality, clear plastic with a helpful measuring gauge to let you know when to refill the water bottle and a fixing wire to attach the bottle to your cage. 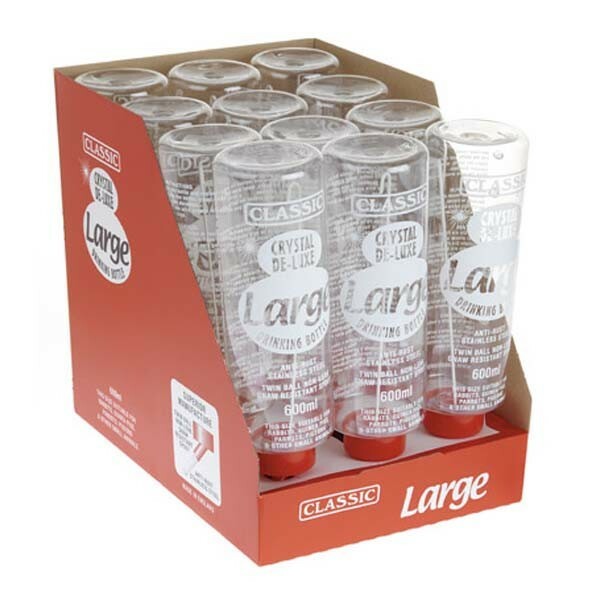 The clear plastic water bottles have an anti-rust stainless steel spout that's gnaw resistant, a twin ball mechanism to help prevent leaks and the spout of the drinking bottle is also angled to mimic natural feeding. Drinking bottles keep the water stored inside them clean and healthy, as the bottle is attached to the outside of the cage or hutch away from bedding and food that could contaminate the water supply. 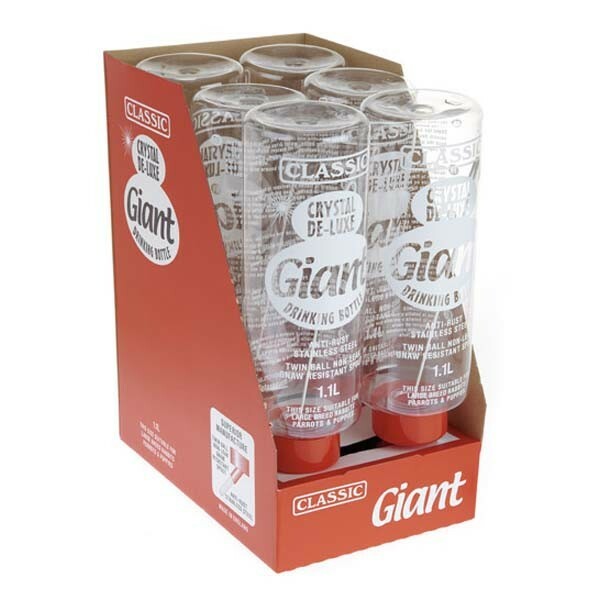 Giant Drinking Bottle 1.1 Lites - is suitable for large breed rabbits, parrots, puppies and large caged pets. 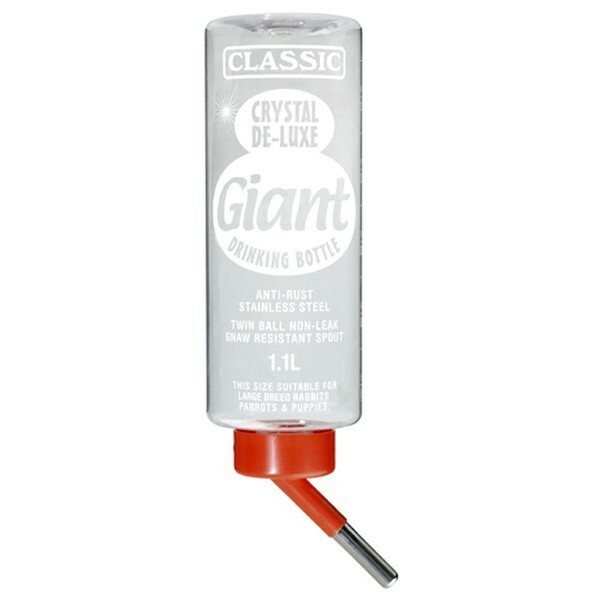 Large Drinking Bottle 600ml - is suitable for rabbits, guinea pigs, parrots, pigeons and other small animals.